New York: The race for the Democratic nomination for governor and lieutenant governor, a separate line on the ballot in NY, has attracted nationwide attention. It pits incumbent Governor Andrew Cuomo and his choice for lieutenant governor, former Representative Kathy Hochul against Fordham law professor, Zephyr Teachout and her running mate, Columbia law professor Tim Wu. Steve Grossman, the MA state treasurer, who was endorsed by the state party, as well as the Boston Globe. Mark Fisher, a businessman aligned with the tea party. 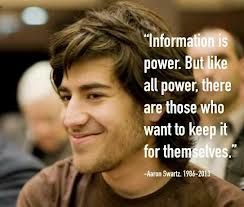 Lessig said it was a conversation with Swartz that propelled him to shift the focus of his work from Internet freedom to political corruption in 2007. “He said to me, ‘Why are you wasting your time working on these Internet issues or these copyright issues, when you know that none of the ideas you’re pushing would ever be addressed because of the political system? '” Lessig recalled. Lessig is asking supporters to join him as he walks across New Hampshire in segments — 10 miles on Saturday, 20 miles on Sunday, more down the road — to reach out to voters. His walk also will honor the work of Doris Haddock, more commonly known as Granny D, the New Hampshire political activist who advocated campaign finance reform until her death in 2010 at age 100. I wanted to find a way to mark this day. I wanted to feel it, as physically painful as it was emotionally painful one year ago, and every moment since. So I am marking it with the cause that he convinced me to take up seven years ago and which I am certain he wanted to make his legacy too. On Saturday, we begin a walk across the state of New Hampshire, to launch a campaign to bring about an end to the system of corruption that we believe infects DC. This is the New Hampshire Rebellion. Fifteen years after New Hampshire’s Doris Haddock (aka, “Granny D”), at 88, began her famous walk from LA to DC with the sign “CAMPAIGN FINANCE REFORM” on her chest, a dozen or so of us will start to walk in Dixville Notch, NH, the place the first 2016 presidential ballots will be cast. For two weeks, with more than 100 joining us along the way, we will walk south across New Hampshire, ending up in Nashua, NH, on the day Granny D was born. You can help. Please help. You can still join the walk. You can spread the word of the walk (tweet #NHRWalk linked to nhrebellion.org). You can sign a petition from wherever you are to push the candidates to answer this one question. Or, with just a few clicks, you can send support that will help this movement grow.